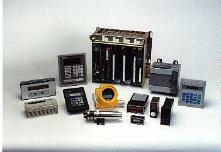 We sell the most common types of tubes, and some of the more rare varieties as well. We also sell rebuilt tubes. 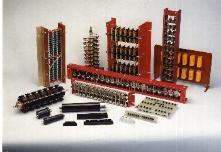 Solid state rectifier assemblies, rectifier stacks, tube replacements, and individual diodes. 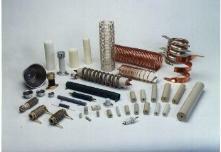 Chokes and coils, supported and unsupported, custom and standard. 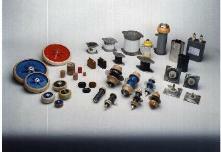 Insulators: Standoffs, feed-thru, cap and flange, and others. 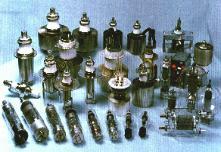 Vacuum capacitors, variable and fixed, glass and ceramic. Ceramic (Pancake), mica, doorknob, feed-thru and oil-filled. Corona cups and mounting flanges. Ceramic (Pancake), mica, doorknob, feed-thru and oil-filled. Corona cups and mounting flanges. 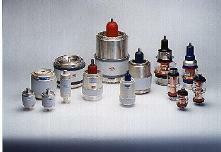 Resistors, double and single set point meters, panel meters, timers, relays, counters, vacuum switches, circuit breakers and flow switches.